Elements Massage®, one of the fastest-growing therapeutic massage franchises in the nation, is pleased to introduce, AromaRitual™, the brand’s newest line of exclusive aromatherapy treatments. 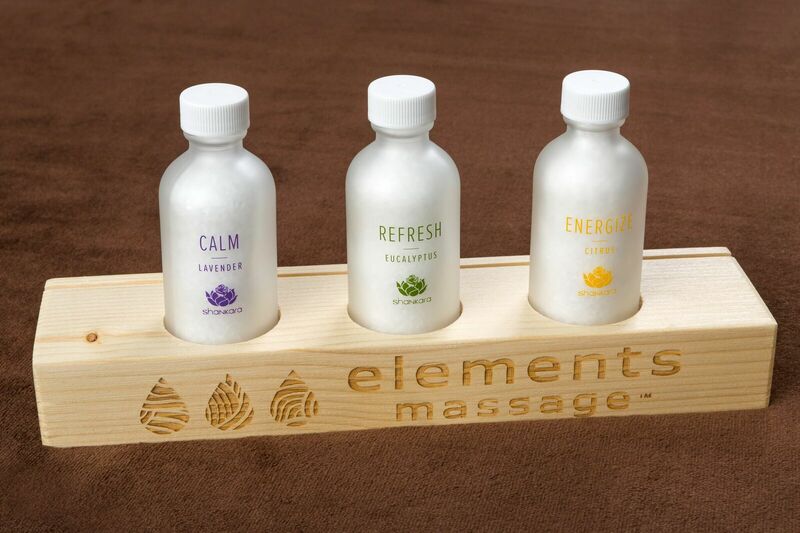 With AromaRitual™, Elements Massage® clients can experience a personalized, immersive aromatic treatment. In addition to this new service offering, Elements Massage® partnered with Shankara, winner of the 2017 iSPA Innovate Award, to produce three custom scents - Energize, Refresh and Calm. “Aromatherapy taps into our sense of smell, which is tied to the part of our brain that processes emotion and controls our breathing, heart rate, and stress levels. This treatment helps stimulate the human nervous system, often leaving individuals with an overall greater sense of well-being,” said Eric Stephenson, Chief Wellness Officer of Elements Massage. Find the Elements Massage ® closest to you and give this cutting-edge massage experience a try at your next appointment to see how it enhances your physical, mental, and emotional levels to promote a sense of well-being. We can't wait to see you.